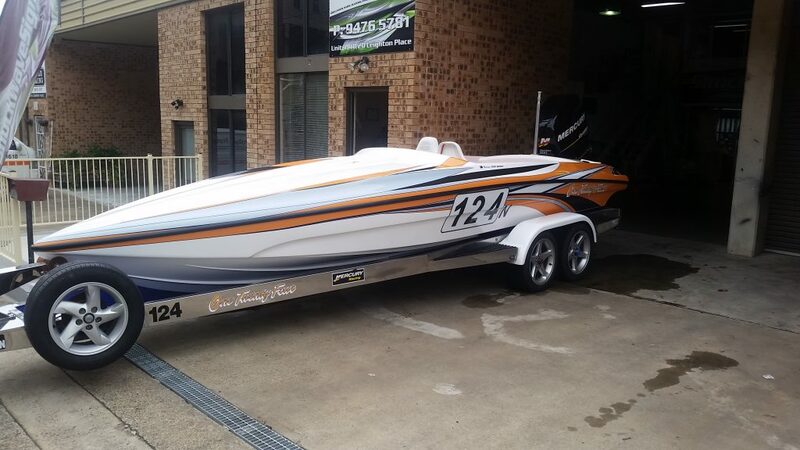 Over the years, Shockwave Signs have produced some beautiful boat wraps to some very happy customers. With the creativity of using the lines of the boat, our professionals can provide you with a design that will stand out from the crowd. Whether you own a race boat or a weekend cruiser, we can add some spice to your vessel and give it the enhanced customised feeling to really make it your boat. We also have many years of manufacturing boat registration decals and also custom boat name designs. If you require either of these then contact one of our designers today and they will be able to help you out.